During the period 1920-1929, the popularity of surfing continued to grow amongst the determined and dedicated. Surfing's revival during the previous two decades had gone by relatively unnoticed by the rest of the world, with the exception of Australia, New Zealand and the United States. With the death of George Freeth in 1919, surfing's spread was left to Duke Kahanamoku almost single handedly. From a surfing perspective, the 1920s was largely Duke's era and he dominated all news about the sport during that time. However, Duke was not alone. There were growing numbers of surfers at Waikiki, in Australia and California. 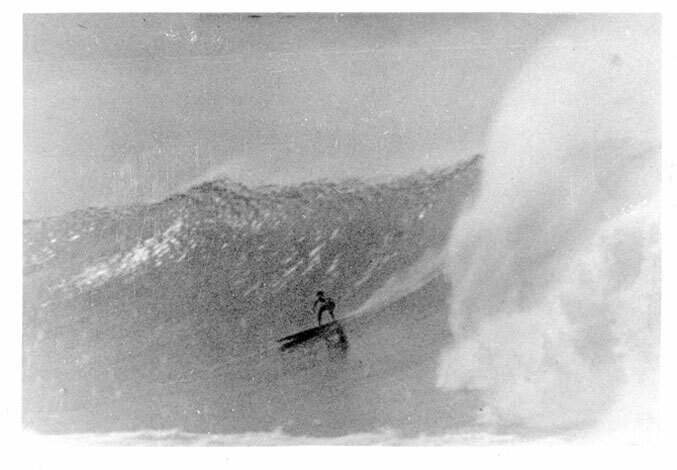 Significantly, another champion swimmer named Tom Blake got interested in surfing and would become - second only to Duke - the most influential surfer of the next two decades. 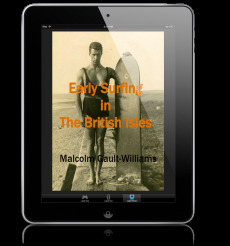 This chapter covers the events and the surfers of the 1920s in the kind of depth that cannot be found anywhere else. "The 1920s" is 17,287 words long and comprises 46 pages in length (726 KB), including several pages of footnotes and historical images. The chapter is formatted in Adobe Acrobat's free Portable Document Format (PDF) for easy viewing and printing from your computer. Additionally, the electronic file can be freely shared with friends and family. All order fulfillments are done manually, so please be patient in case there may be a delay. Should you have any problems with your order, please comment at the bottom of this posting and I will be sure to get it. Aloha and Thank You for Your Interest in My Writings!